Personal assistant app Helpchat, run by Coraza Technologies Pvt Ltd, has been downloaded one million times since it was launched eight months back. 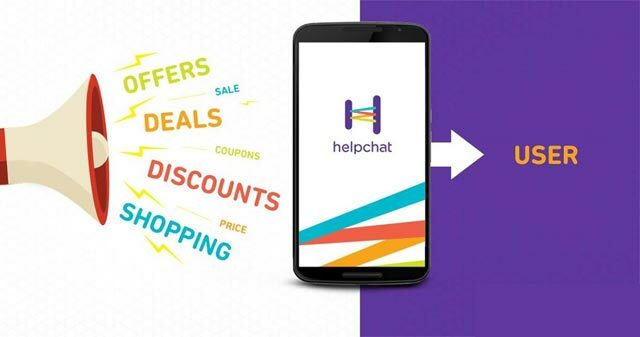 Helpchat, which offers information and services across categories including mobile and DTH recharge, tech support, travel booking and holiday guidance, has witnessed maximum traction in Bangalore, followed by Delhi-NCR and then Mumbai, said a company statement. "Since inception, we have had the single-minded goal to amplify users' ability to get things done. We use these figures as impetus to push us further," said Ankur Singla, founder and CEO, Helpchat. Helpchat is a personal assistant app that completes tasks on users' behalf and claims to have forwarded $6 million worth of user requests to its partner businesses in the last three months. It has recently launched an automated conversational feature which allows users to schedule their laundry, order food, get suggestions on the best shopping deals, etc. Originally known as Akosha.com, it was an online customer feedback platform before it pivoted into a chat-based personal assistant app in July and rebranded itself as Helpchat. Post the pivot, it also appointed TaxiForSure's finance head Deena Jacob as chief financial officer. Akosha was founded in 2010 by Singla, who was joined by Avinash Vankadaru (in operations) and Vishal Pal Chaudhary (in technology). Akosha provided users information on pricing, discounts, customer service, booking appointments, travel research and so on. Recently, it was reported that Helpchat had laid off 100-150 staffers. A Bangalore Mirror news report quoted unnamed employees of the company as saying that the inability to raise fresh funding compelled Helpchat to trim its workforce. It had last raised $16 million (Rs 100 crore) in Series B funding led by existing investor Sequoia Capital five months ago.